Photographer & adventure chaser with one foot in the highland cold desert of Himalaya and one on pedals to chase dreams. He loves Camera and travel on bicycle to in remote areas. A photographer, adventurer & traveller from western part of India, who is eager to see new world and strongly believe said by great friend late: Joel “not a geographical location, more a place in the heart”. Born with a love for mountains, which has carried him back to Himalayan highlands many times over. He is explorer and Indian Himalayas is his backyard. He has captained many incredible expeditions and workshops in the high mountain regions. He travels solo in search of unique images and stories, stays with nomads in beautiful and warm summer weather and equally enjoys minus 40 degree celsius winter in highland. His works have been used by publications in India and across the world, all the way from India, Middle East, Europe and Australia. 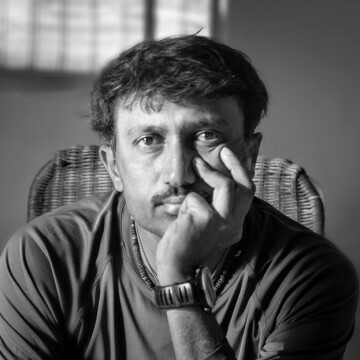 He is a professional photographer who has extensively travelled across India and around creating some of the finest imagery of landscapes, heritage sites, culture and life. Having travelled the country many times over and being used to waking up at midnight in bitter cold winter days in himalayas, he has seen and captured finest landscapes all the way from Himalayas to the peninsular India. His extensive travel has made him an expert in finding the right locations and the time of the day for photographing the splendors of every place he visits. He leads photo expeditions in various part of India. He works mainly on documenting life, culture, adventures and with this he never forgets to work on natural light portraits as he loves the most. He loves landscape equally as his travel takes him to some of the most pictorial landscapes places in the world.